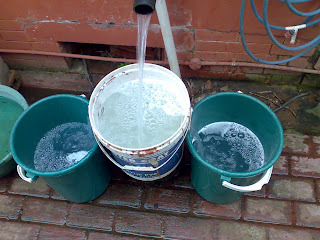 This is my latest idea for using the grey water, from the washing machines. We just used to pipe it to the bananas and such. 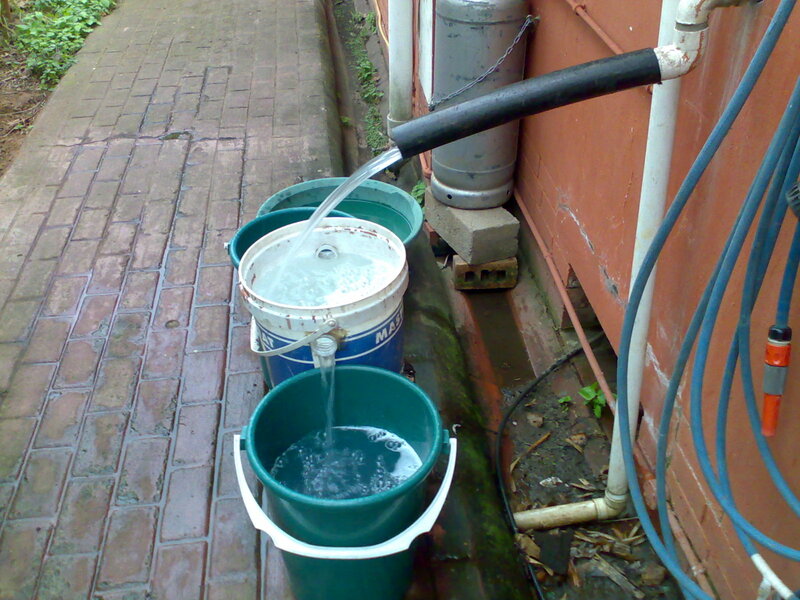 But now I have resolved to capture this grey water. We use it to wash the stoep, the drive way, path ways and water the plants and lawn. 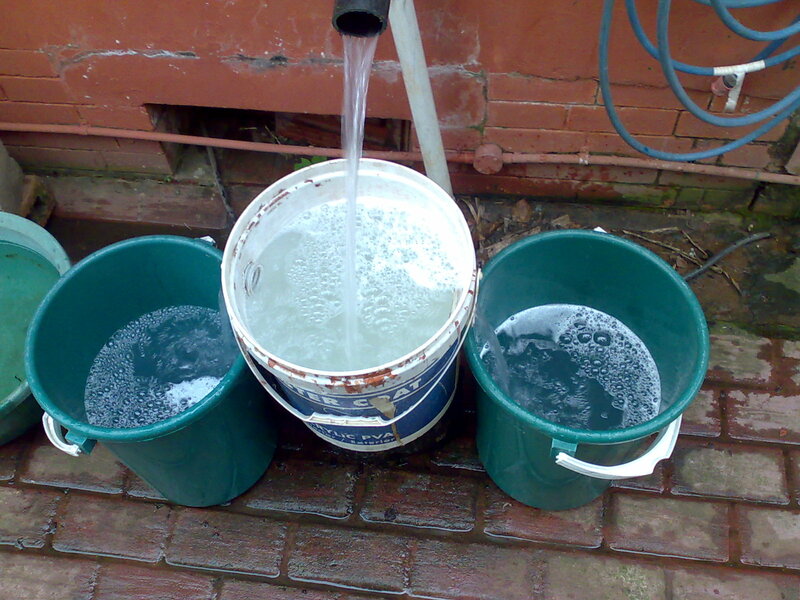 This is very labour intensive work, hauling twenty five litre buckets to where the water is to be used. Giving it some thought I reckon it is like doing reps at the gym with weights. No wonder I am as stiff as a board in the mornings. Chris has never had such a clean stoep and into the bargain the place has a nice smell to it.